These were a gift from someone who is deceased. So they are imbued with this chap’s presence, and it’s a sad story. But they don’t always make me feel sad, rather more like an archaeologist, digging up clues. One is worth $6. Most are 20-60 cents or so. 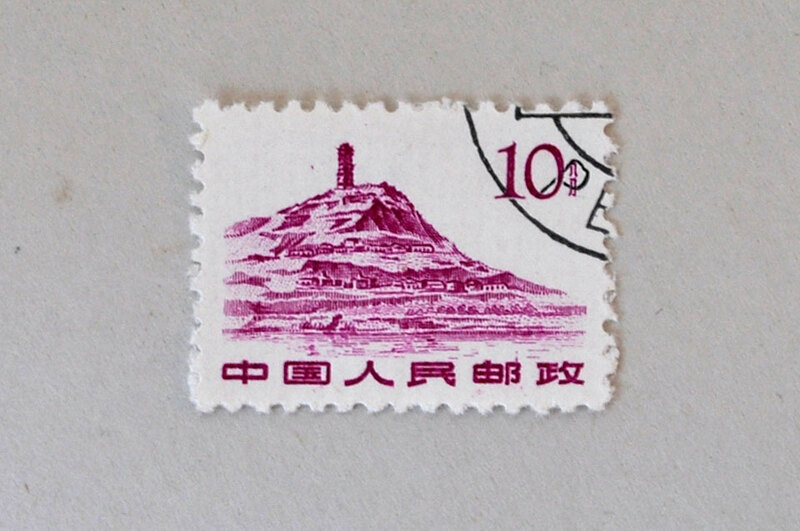 It seems incredible that something so delicate and small as a paper stamp that survived over half a century might only be worth 20 cents, but there you have it. The “50 Differents” board I include for the spelling. 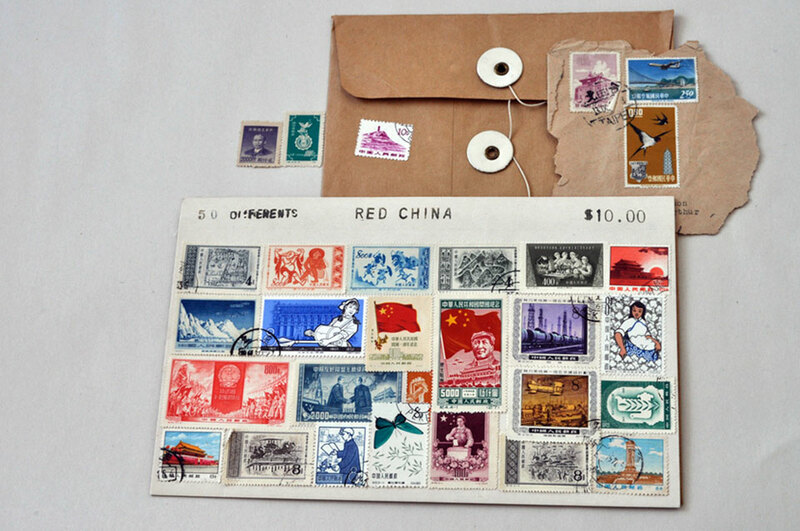 I wrote away to an internet auction site specializing in Chinese stamps once, hoping for a treasure:) They were polite, but not interested. But you know, I didn’t send them every single one, so hope springs eternal. 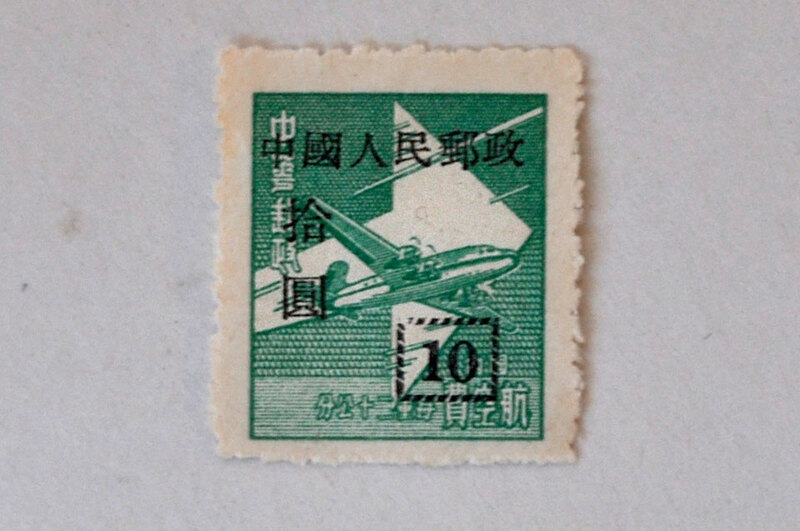 Two of my favourites: The green airplane one for the imagery, the fact that it’s franked and that it was lovingly steamed off an envelope. The purple one for the colour and the same other reasons. 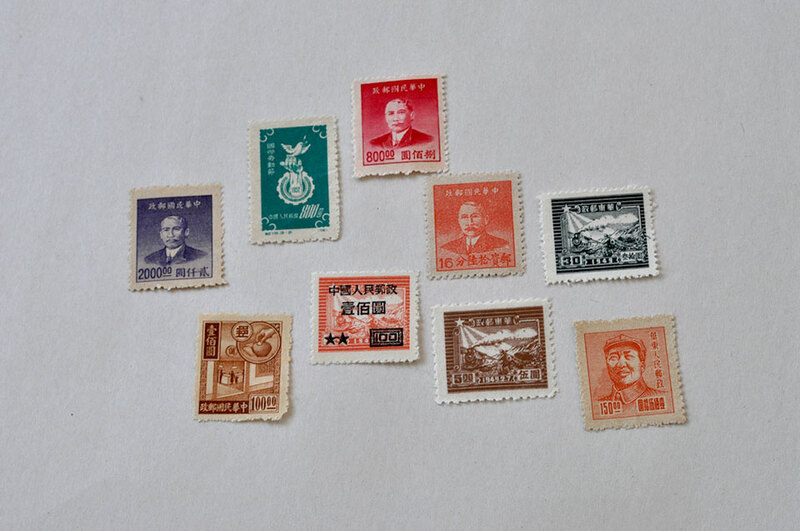 Status: Photograph with a macro lens (reason #5 for purchase) and either get a bleeding proper stamp collection book, or sell them.